POOKOO Industrial Co. Ltd., was founded in 1982, has been the most reputed supplier of bathroom appliances, the greatest manufacturer of diversified bathroom appliances. 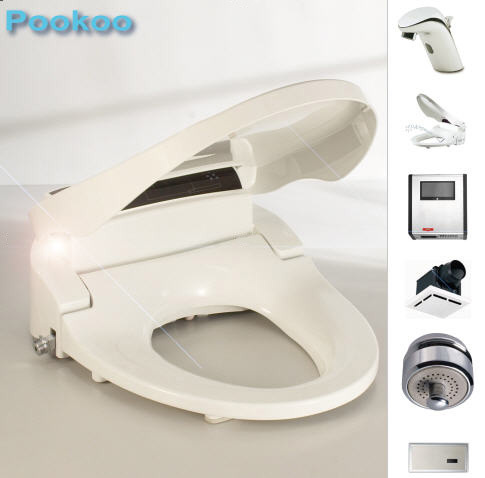 POOKOO’s hottest products are automatic faucet, urinal sanitizer, electronic bidet, hand dryer and soap dispenser. There are more than 100 kinds of products in the production line of POOKOO. By 23-years-nonstop supplying quality bathroom appliances to the market, POOKOO, has become a world-famous supplier of bathroom appliances which includes automatic faucet, urinal sanitizer, electronic bidet, hand dryer and soap dispenser. POOKOO had successfully extended the market to America, Europe and Asia. Besides finished bathroom products, OEM bathroom products are also welcome here. POOKOO is where you can find all bathroom appliances you need without driving along the street, and POOKOO will definitely satisfy you with world-class bathroom products that only cost you a little. To check out more bathroom products, please go to our showroom and have fun shopping!